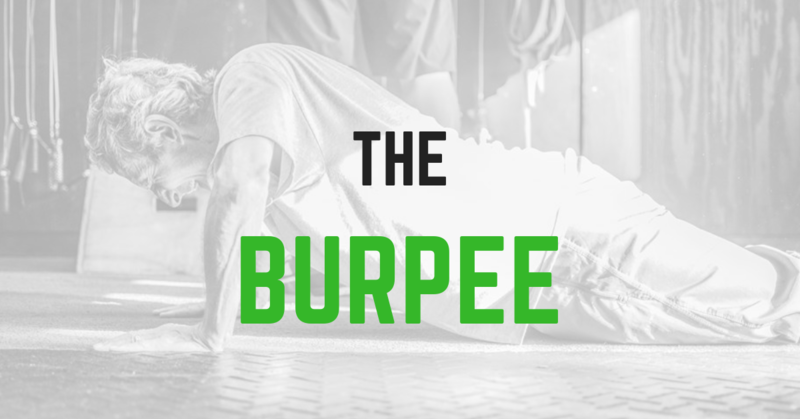 The word “burpee” alone might stir some emotions in you. Some people like them, most people hate them. But the truth is: the burpee is the king when it comes to exercise movements. If you were given the choice to pick a single movement to do for the rest of your life… yes, it should be the burpee. Allow me to convince you that this simple exercise is and should be your best friend. First, let’s talk about why people hate burpees. The simple answer is because they are hard. They are taxing on the muscles AND on the lungs. They require your entire body. Burpees are a repetitive movement. And they’ve been associated with punishing exercises. But, being tough is one of the reasons why it’s so great. Yeah, they are difficult. Burpees challenge your conditioning, your strength and your mental toughness. Many people “lose their match” against burpees before the workout even starts. Next, let’s look into what makes burpees the best exercise movement you can do. They require very little skill. A burpee is essentially a movement that simulates you going to the ground and coming back up. It is as simple as that. You do it many times during the day, and you’ve been doing burpees since the day you were able to walk on two feet. You never really had to be taught how to do them (unless you are doing it for efficiency). This makes the burpee accessible to anyone and everyone. Even when you are old and frail you can still be performing some form of burpees. They require no equipment or space. 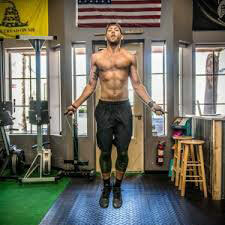 If you are travelling, if you are caught in a snowstorm, if you just moved, if you have no gym membership, if you only have 10 minutes to workout, you can do burpees. The simplicity of the burpee makes it the most accessible and engaging movement you can do. Anywhere, anytime, anyhow. Just do them. They can target your cardiovascular ability, strength, endurance, coordination, and/or all of the above. Like mentioned above, burpees can challenge you in many different ways. Usually, it varies by person and their fitness level. But it can also vary by how you are doing them. Want to challenge your conditioning? Do 8 every minute for 10 minutes. Want to challenge your muscles? Do 10 as fast as you can, rest a few minutes and repeat for about 4-5 times. Want to challenge your coordination? Add shoulder taps, mountain climbers, or other movements to your burpees. They build character and toughness. That’s what a burpee is. That’s what it does to you. It brings you down and it will keep you there if you let it. But it’s not about getting down to the ground. It’s about getting back up. Again, and again, and again and again. No other movement is going to make you tougher than the burpee. And that’s an analogy for life. There are many ways of performing burpees. If you are new to working out with burpees or if you are not in the greatest of shapes, burpees can be a very demanding movement to do. Even if it’s just a few. But the good news is that burpees can be easily modified. Squat Thrusts, or “half burpees”, is an easier version of them. Or burpees to a box, also makes them a little easier. Once you’ve done a few burpees in workouts, and you get more comfortable with them, burpees get easier and easier to do. But don’t fool yourself, you can always make them harder. Burpee box jump overs, bar facing burpees, burpee pull ups, are a few tough variations of the movement. You are never too fit, or too out of shape, for burpees! It is no secret that burpees are disliked, and for good reason. But if you can master the burpee (if there is such a thing? ), you will not only become fitter, but you will also become tougher. Embrace the burpee because it will give you the biggest bang for your buck. Just woke up from a nap? Need some quick energy boost? Been sitting for too long at work? Stuck at home? Get some burpees in and I promise you will feel better by the end of it. Not sure where to start? Come chat with one of your Celebration CrossFit coaches!